In what’s dubbed the first integrated health care village in the world and largest health care project in the nation at $1.2 billion, Union Village in Henderson is starting to take shape. Little has been discussed publically about the billion-dollar project since Henderson Hospital, the first element of the 155-acre development opened seven months ago. An ambulatory surgery center and doctor’s office building adjacent to the hospital remains under construction for tenant improvements for opening this year. 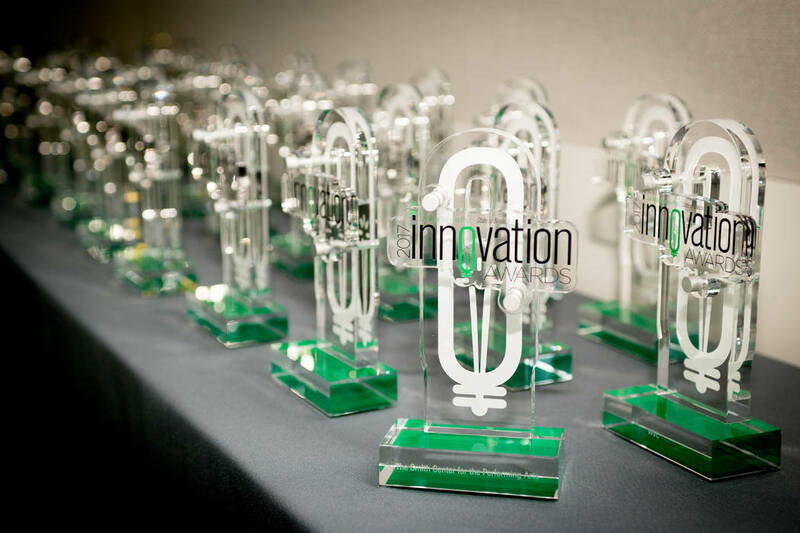 The statues for the 2017 Las Vegas Business Press State of Nevada Innovation Awards await their recepients, May 20. 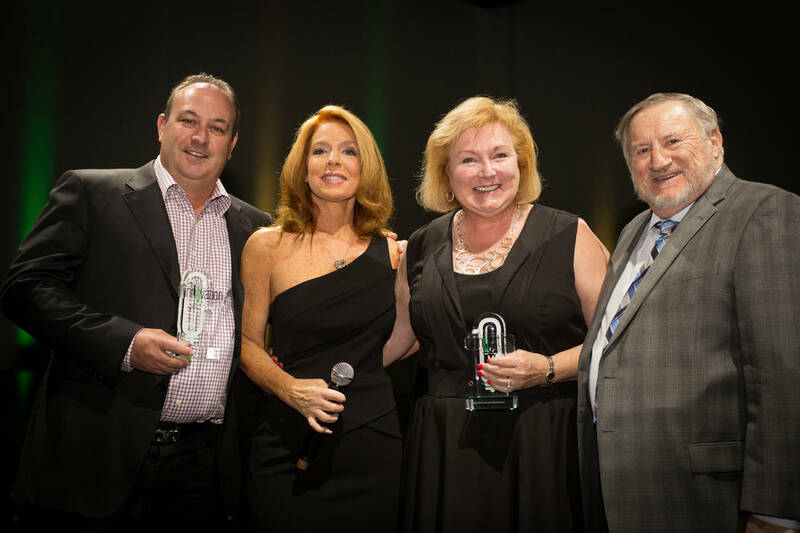 Las Vegas Business Press Publisher Debbie Donaldson speaks at the 2017 Las Vegas Business Press State of Nevada Innovation Awards ceremony at Enclave, May 20. 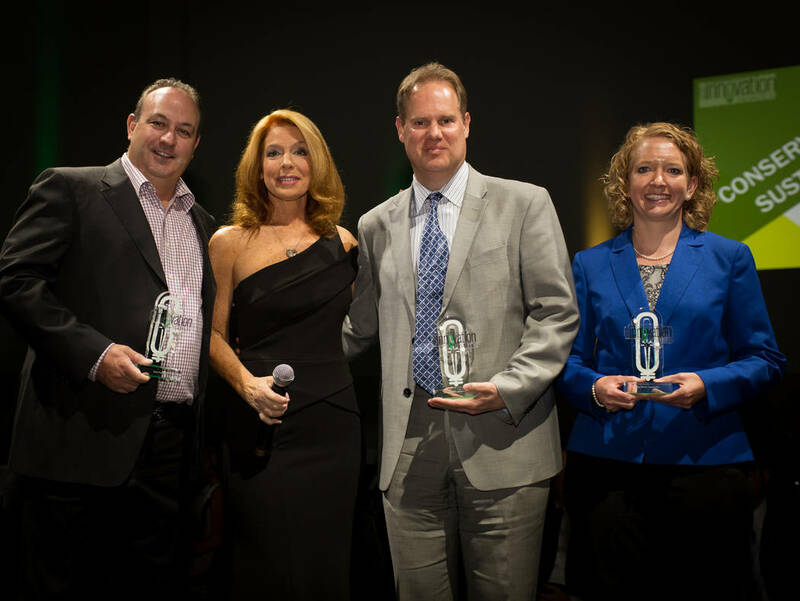 Conservation & Sustainability winners, left to right, Eagle Promotions owner Mario Stadlander, MC Kelly Clinton Holmes, MGM Resorts International Executive Director of Finance and Analysis Henry Shields and Valley Electric Association Executive Vice President of Engineering and Compliance Kristin Mettke. 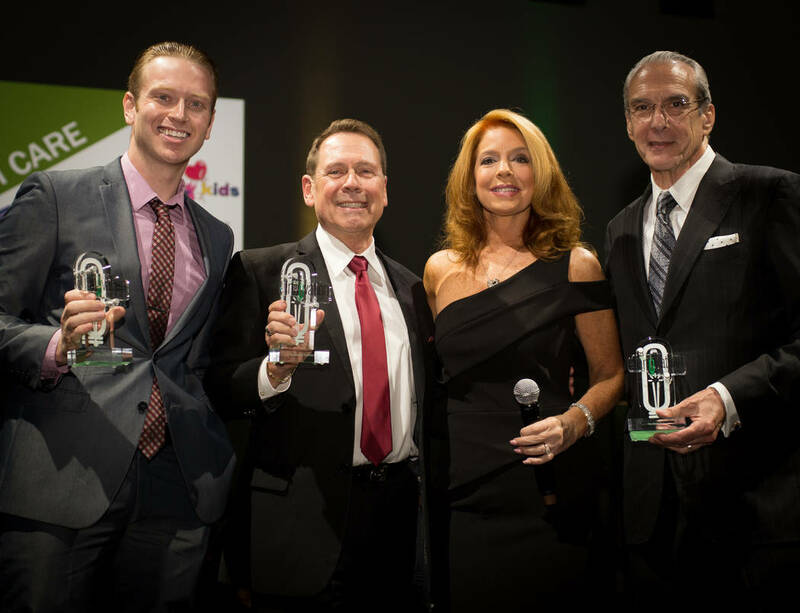 Health care winners, left to right: Southwest Medical Associates Chief Operations Manager Travis Koput, Foundation for Positively Kids CEO Fred Schultz, MC Kelly Clinton Holmes, Cleveland Clinic Lou Ruvo Center for Brain Health Director Dr. Jeffrey Cummings. 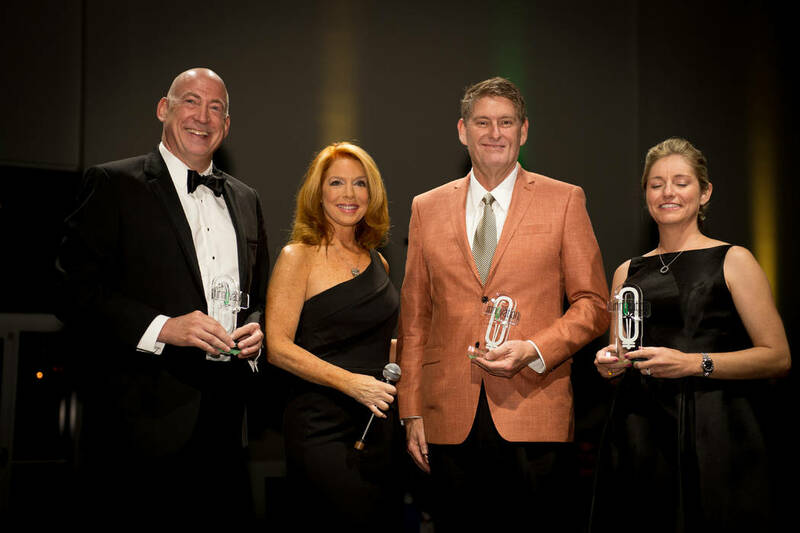 Manufacturing winners, left to right: Eagle Promotions owner Mario Stadlander, Nine Elms founder MC Kelly Clinton Holmes and CEO Liese Peterson and Chairman Don Peterson. Nonprofit winners, left to right: Smith Center for the Performing Arts Vice President of Marketing Communications Suzanne Chabre, Grant a Gift Autism Foundation founder Lunda Tache, National Council of Juvenile and Family Court Judges CEO Joey Orduna-Hastings, United Citizens Foundation President Ashok Mirachandani and WVC Chief Veterinary Medical Officer Dr. Anthony Pease. 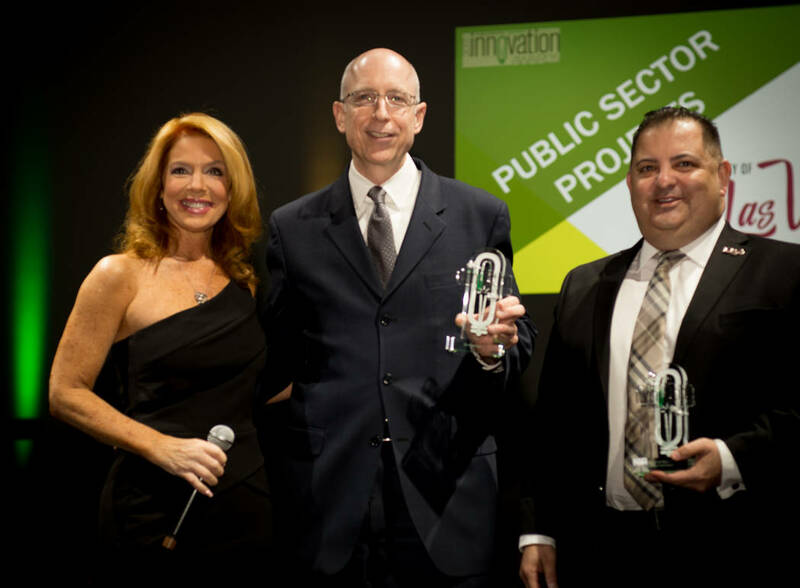 Public sector winners, left to right: MC Kelly Clinton Holmes, City of Las Vegas CFO Gary Armeling and Director of Information Technologies Michael Sherwood. 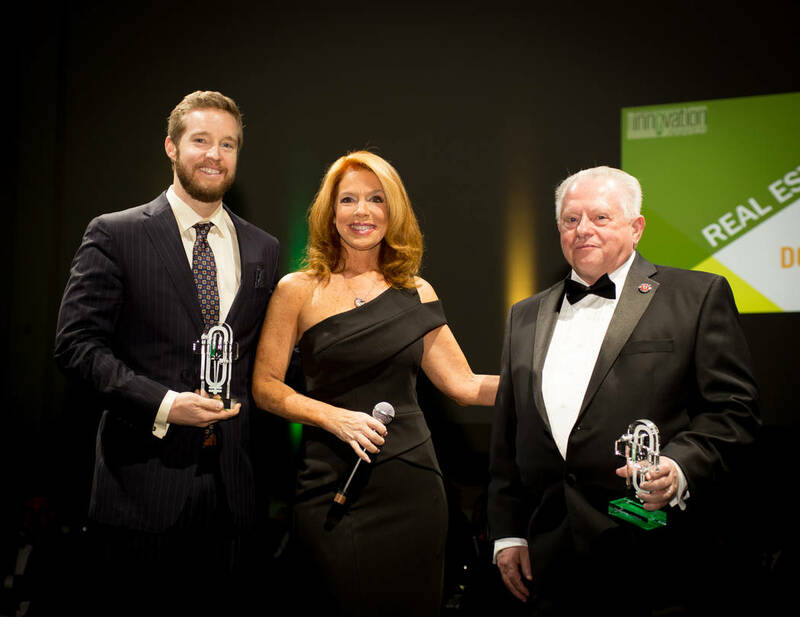 Real estate winners, left to right, Downtown Project Portfolio Manager John Curran and Bershire Hathaway HomeServices Nevada Properties Corporate Broker Forrest Barbee. 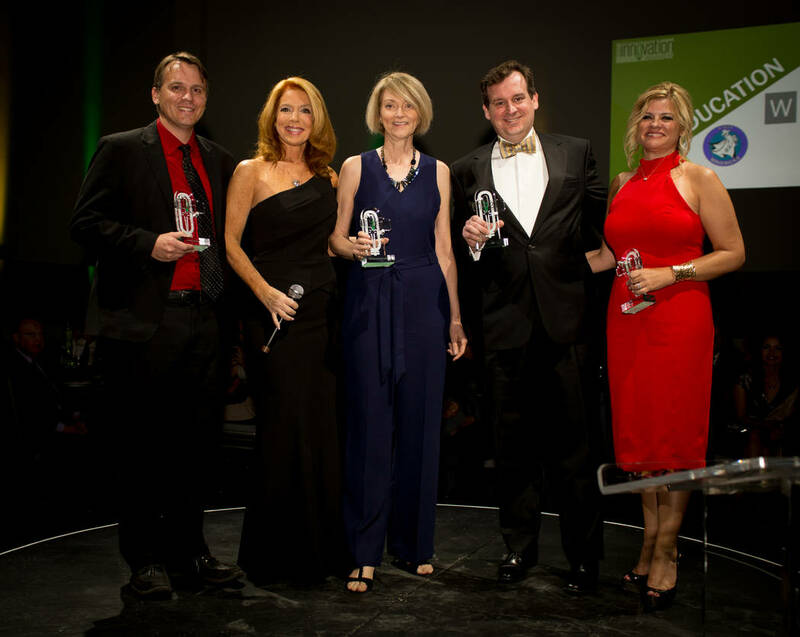 MC Kelly Clinton Holmes and research winner Comprehensive Cancer Centers of Nevada medical oncologist Dr. Oscar Goodman Jr.
Science and technology winners, left to right, Regional Transportation Commission Director of FAST Brian Hoeft, MC Kelly Clinton Holmes, Hyperloop One Site Director of Metalworks James Mitchell Tree and City of Las Vegas Civil Engineer Joanna Wadsworth. 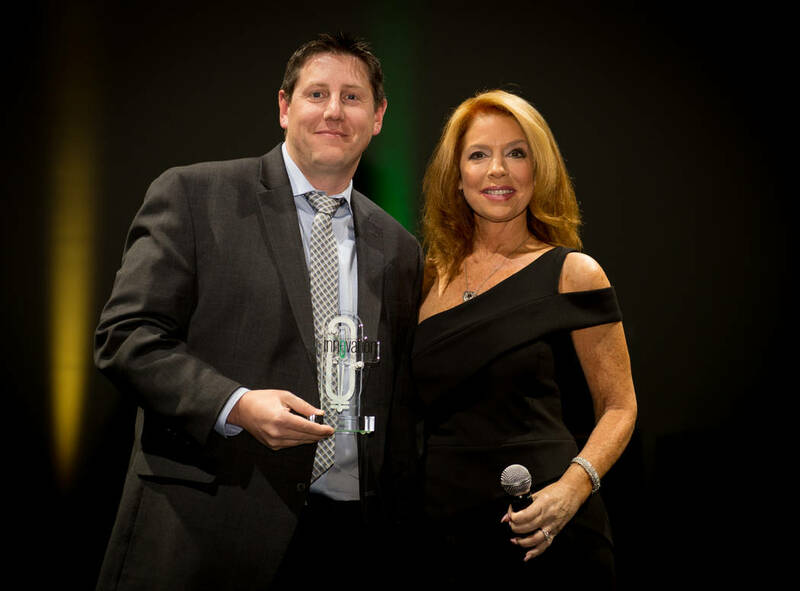 Tourism winner Allegiant Airlines Director of Government Affairs Keith Hansen and MC Kelly Clinton Holmes. 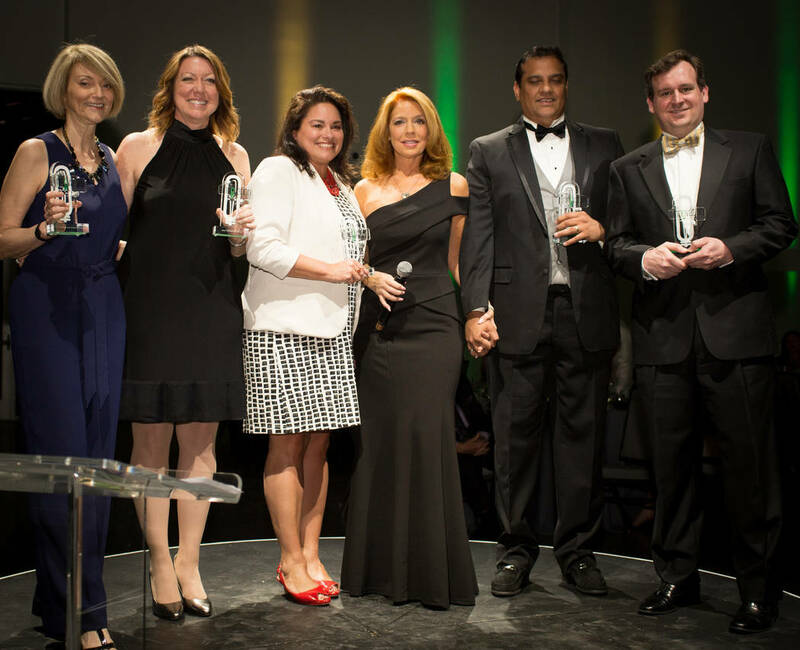 The Las Vegas Business Press celebrated the winners of the 2017 State of Nevada Innovation Awards during a gala at Enclave, May 20.